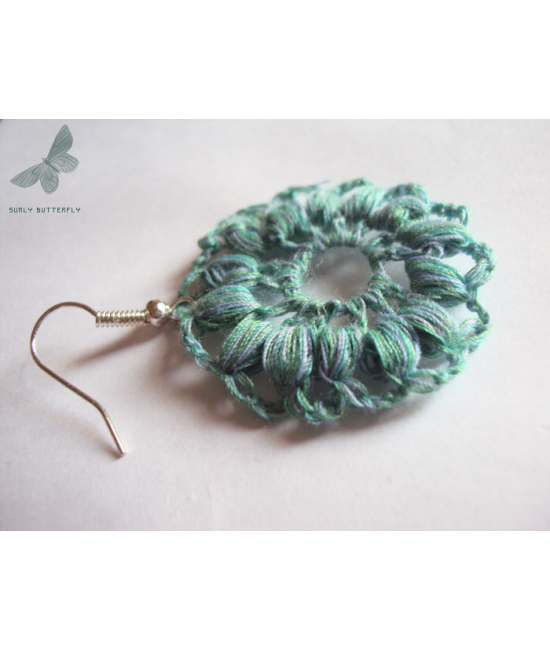 These earrings are very delicate, feminine and light. The colours remind me of a cardigan my mom once made me, so the strange name! 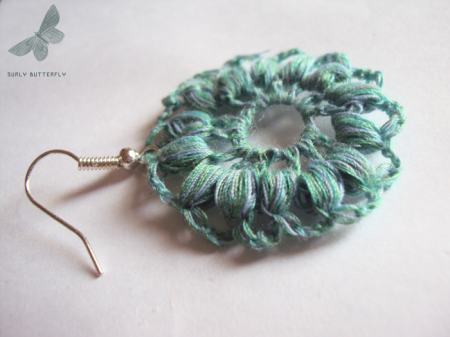 Crocheting these earrings took a lot of care, and you can be sure that each pair is unique and has been painstakingly crafted. If you would like to see these earrings in different colours or with different findings, please let me know. Customising earrings to suit an individual's taste is always fun for me!